Completely pure, healthy & great tasting – BIBO bar uses the latest technology in water filtration and purification, leaving all the essential minerals in your water. 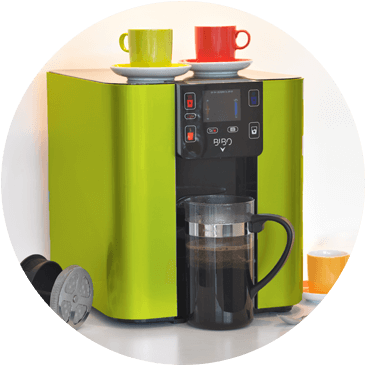 Unlimited – Avoid paying extra, reloading and storing drums full of filtered water as the BIBO bar plumbs directly into your mains. 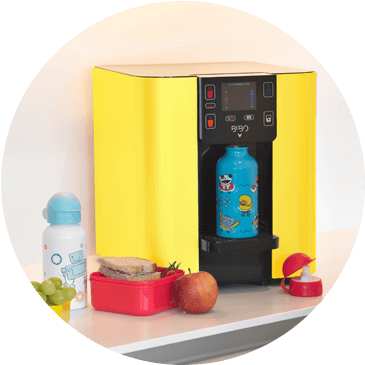 Instant boiling and chilled – You and your family will drink more, as it’s easy, fun, dispenses at your pre-set temperature of choice and is perfectly safe for children. Energy efficient – More energy efficient than a kettle and one can also make use of the sleep modes available. Environmentally friendly – Help save the environment by reducing CO2 emissions and minimize the use of plastic bottles. Avoid paying extra – Bottle your own water at your office and avoid paying extra for drums full of filtered water or having to replace burnt out urns. Convenience – Position your BIBO bar anywhere in your office. It doesn’t have to be near a water source. Energy efficient – Save electricity with the BIBO bar by cutting down on re-boiling the same water many times per day. Environmentally friendly – Help save the environment by reducing CO2 emissions and minimizing the use of plastic bottles. Water conservation – The BIBO bar won’t let you waste a single drop of water. Sterilized – The water from your BIBO bar is completely pure, enhanced by the BIBO zapper purification system that makes it extremely healthy for you and your baby. Pre-set temperatures – Set the temperature of choice that you require for you and your baby with the touch of a button. Pre-set quantities – Set your quantity of choice. 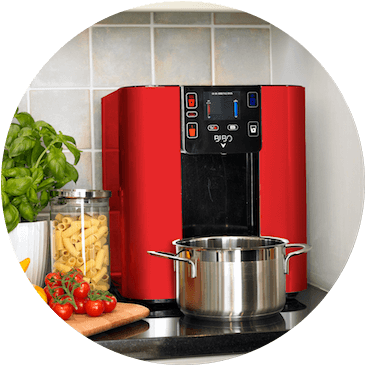 Instant – No more waiting for the water to boil and cool down.